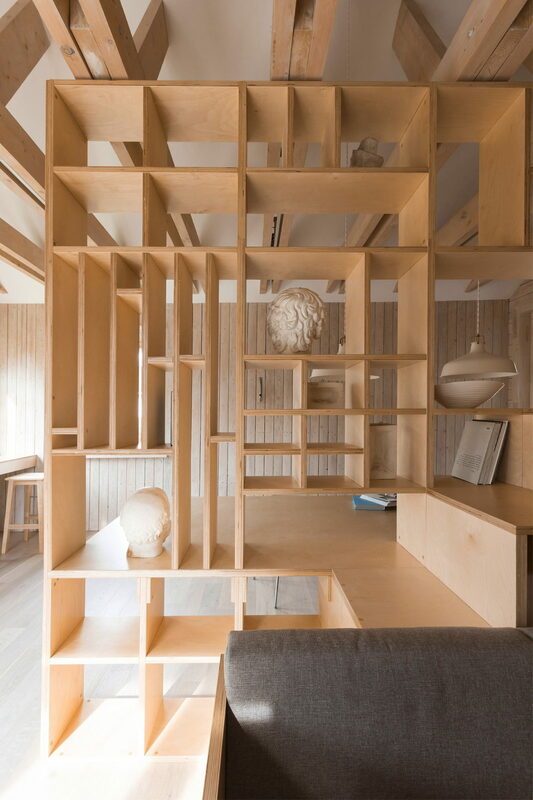 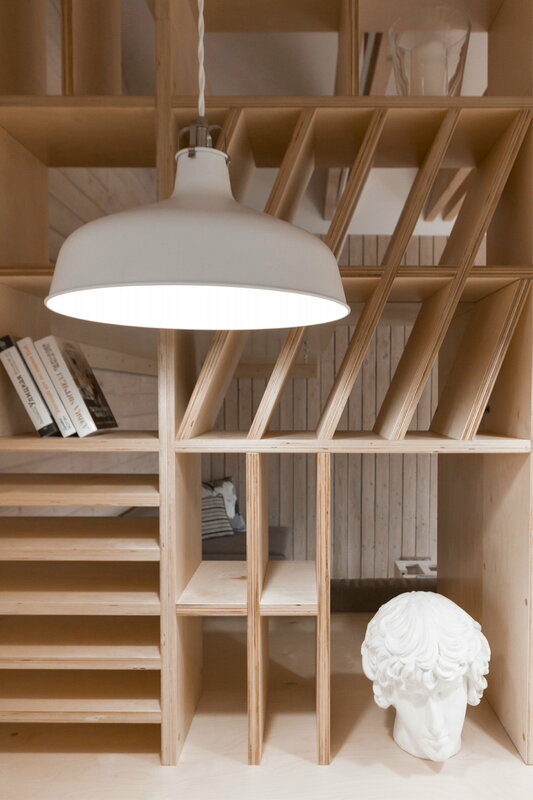 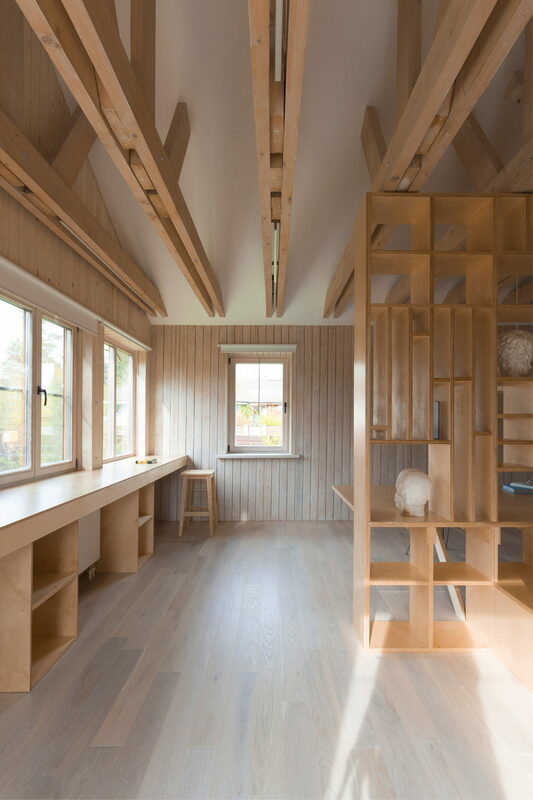 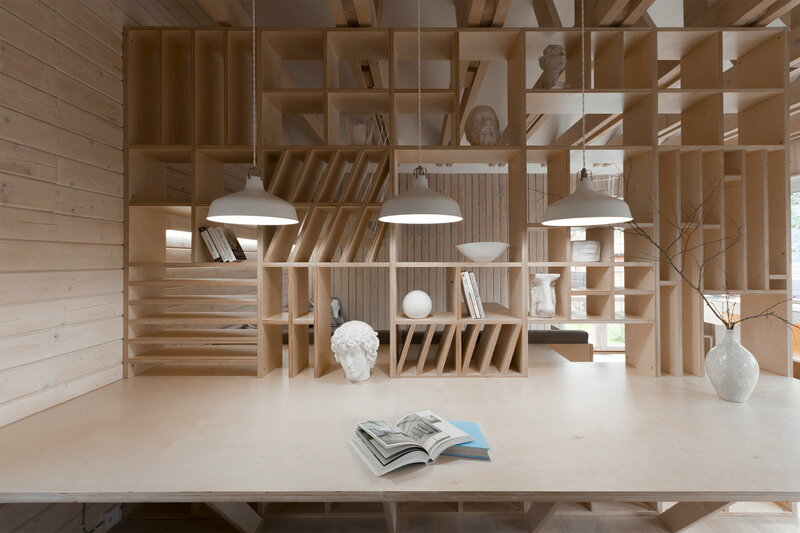 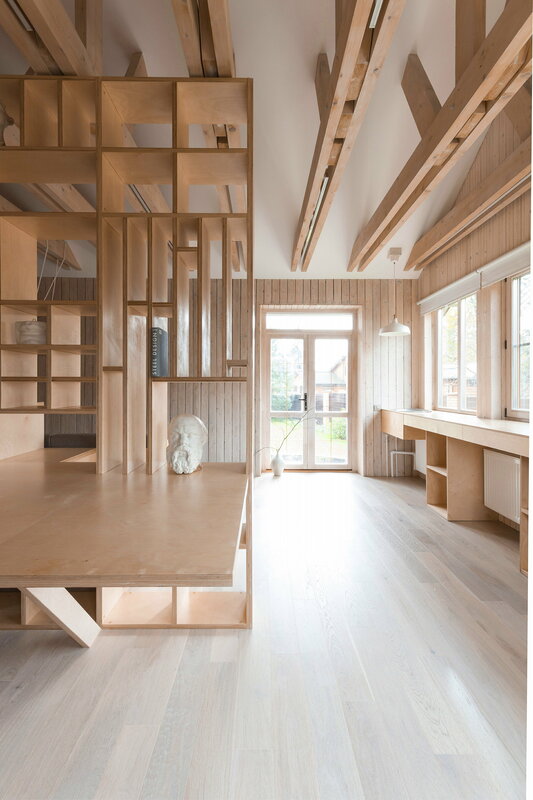 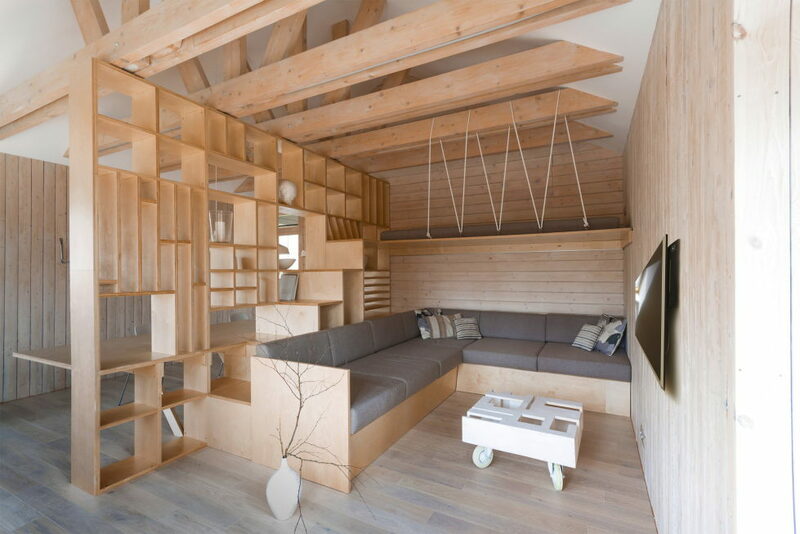 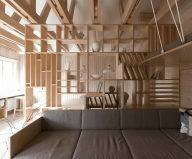 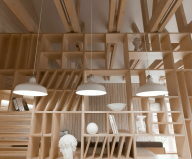 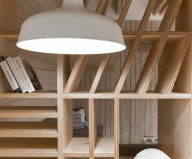 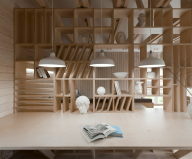 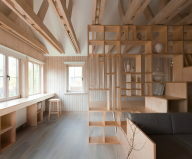 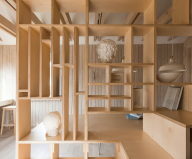 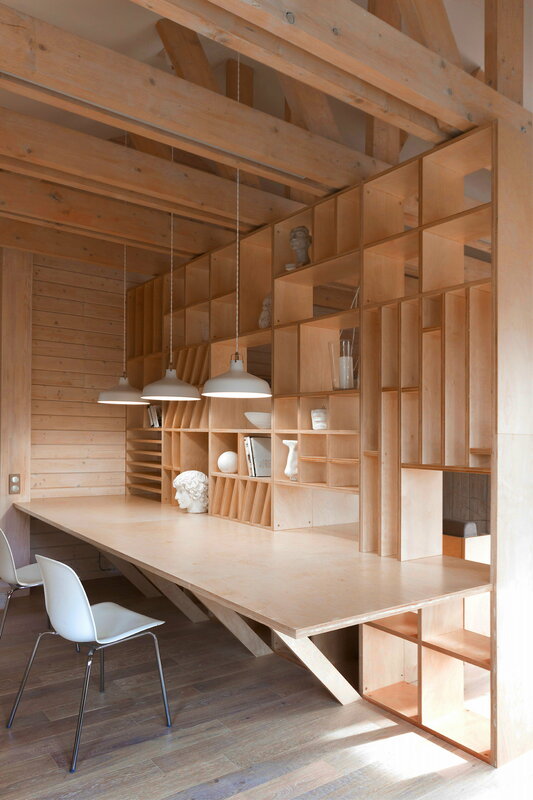 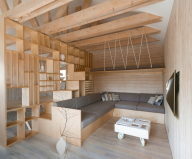 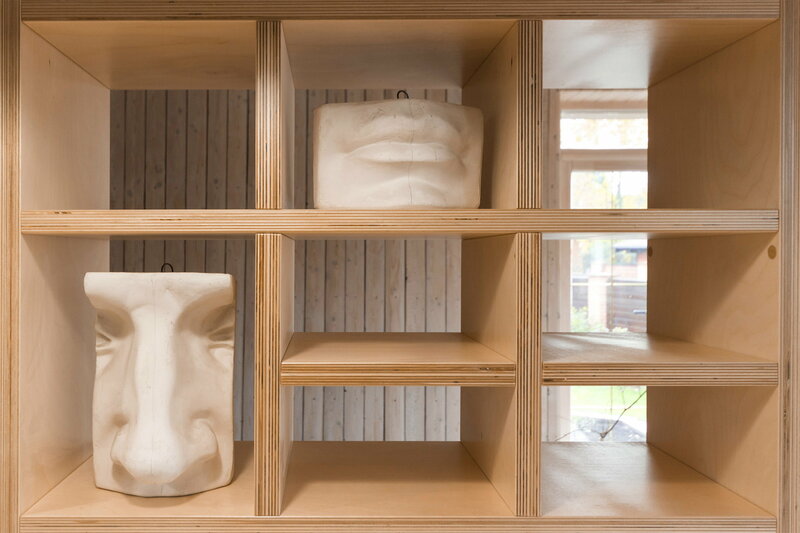 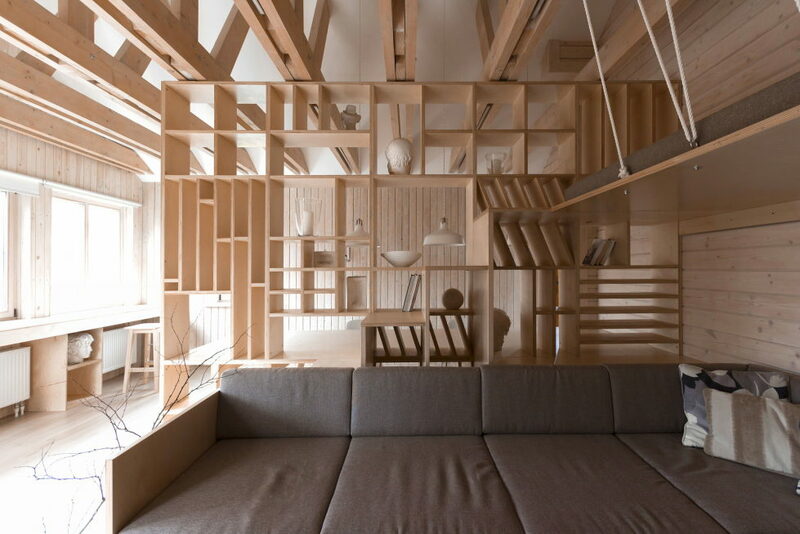 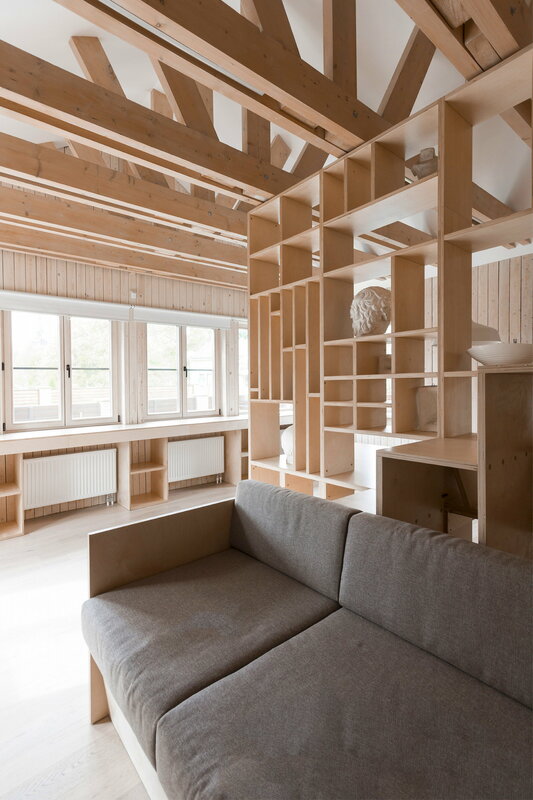 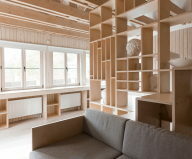 The architectural bureau Ruetemple has transformed the garage of 35 square meters into the workshop for an architect. 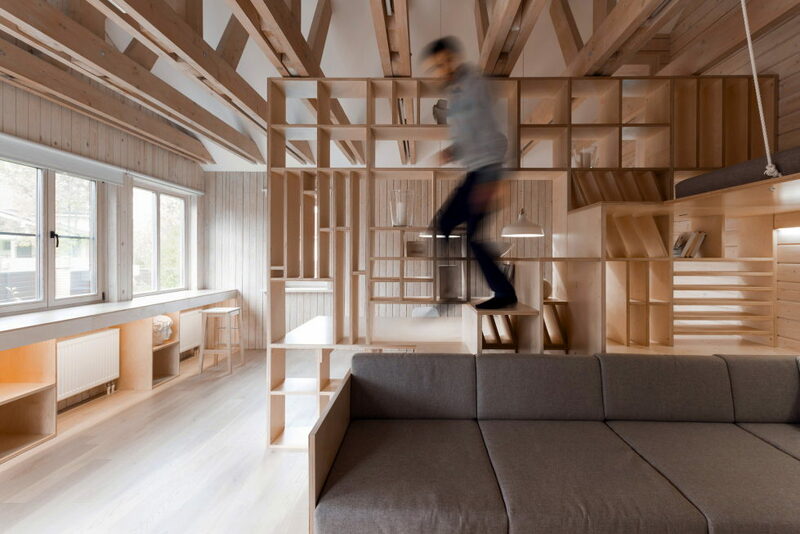 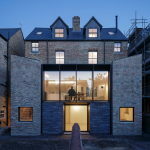 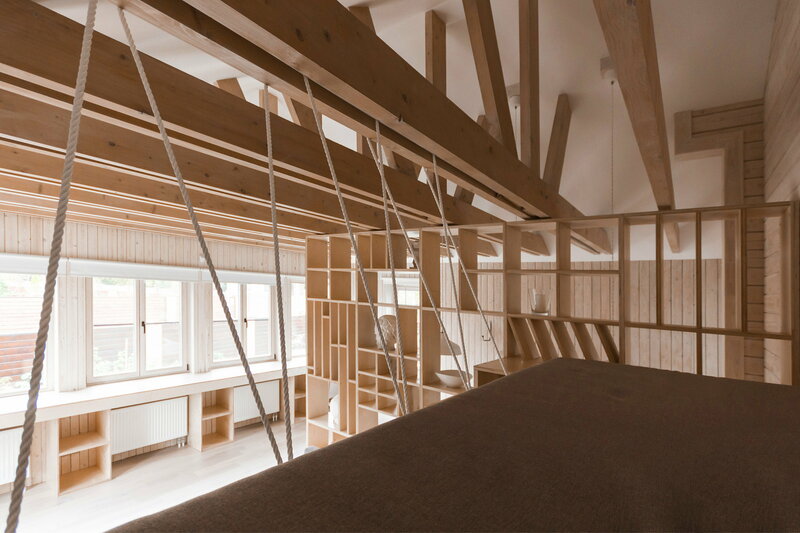 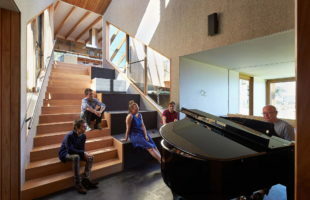 The owner of this private home extension decided to design a studio for his daughter. 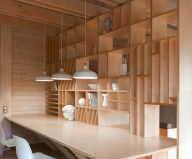 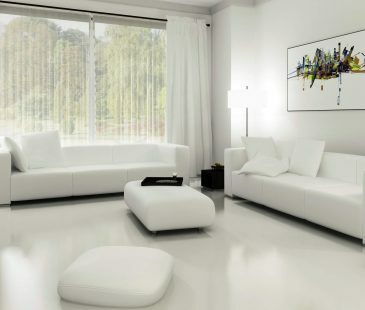 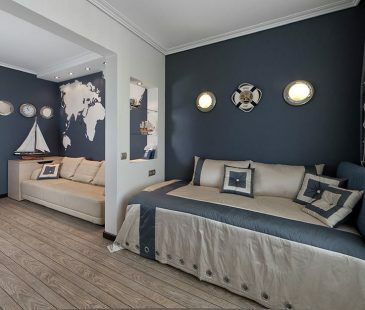 The main requirement of the customer was an organization of two zones – one for work and another for leisure. 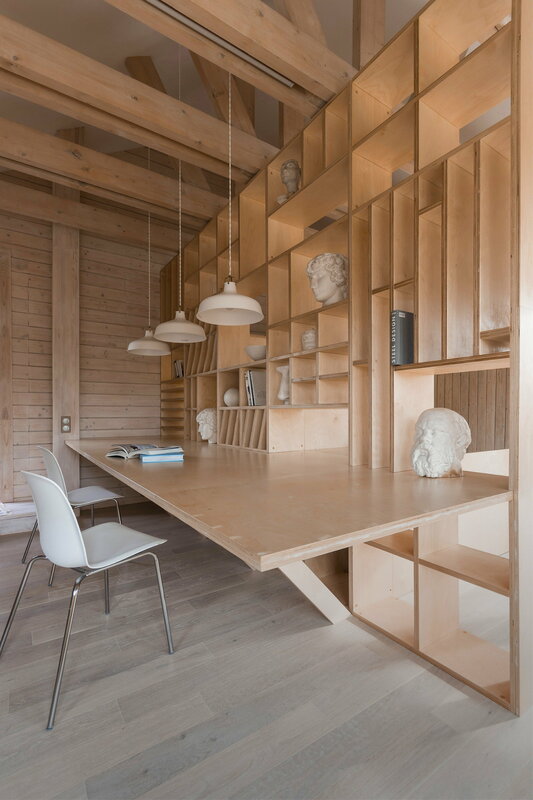 The architects knew that an interior could be a fount of inspiration to a designer-beginner, and is largely influences the mood and provides the necessary impetus for creativity. Moreover, when designers have demolished the suspended ceiling, they discovered a beautiful beam system. 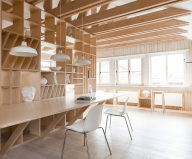 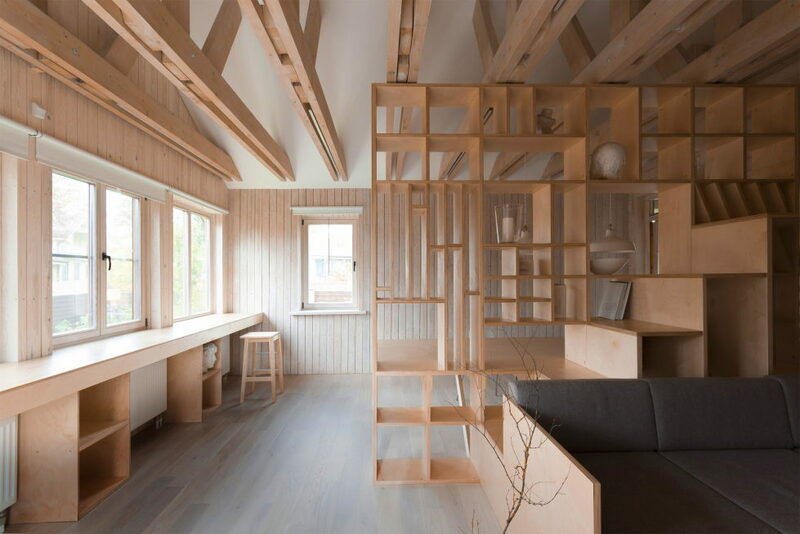 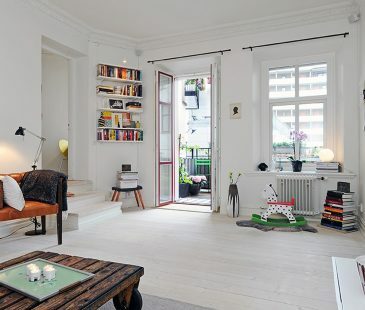 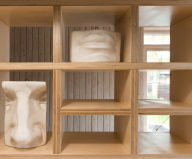 Different functional areas of the house were easily created by usage of the single furniture item with the shelves, desk, sofa and the place for rest. 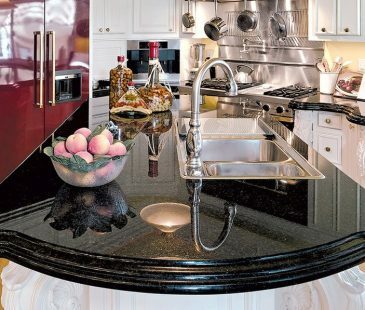 In addition to the standard desktop, there are also windows designed along the countertop. 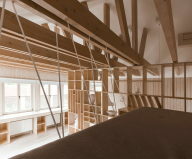 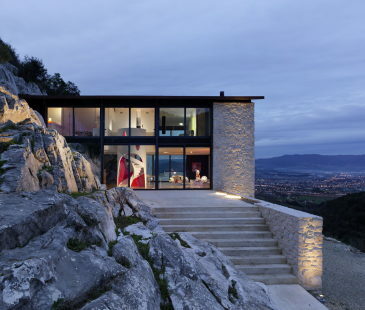 Therefore, owners of the studio could sit there enjoying spectacular and inspiring view of the garden. 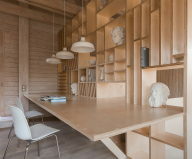 The main three types of material used in the interior were rough planed boards for the walls, plywood furniture and parquet flooring.